The 2018 Rwanda Surgical Mission Camp will take place in the modern capital city of Rwanda called Kigali. The city spans several ridges and valleys with lush hillsides, flowering trees, winding boulevards and bustling streets. 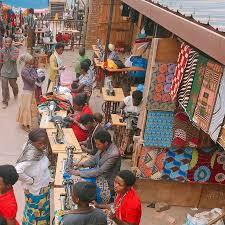 It is arguably one of the most attractive capital cities in Africa, as well as easily one of the cleanest and safest. Kigali is spotlessly clean, partly because plastic bags are banned in the country but also because of a universal service called Umuganda when everyone gets together on the last Saturday morning of each month working on community projects like keeping streets clean, tending to gardens and helping neighbors. During which time many shops and businesses are closed for the morning. 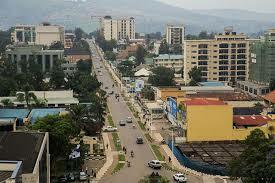 Despite bearing the brunt of the genocide’s unspeakable horrors in 1994, Kigali has been the center of Rwanda’s nation-building efforts since that time and has seen massive amounts of state and foreign investment pouring in over the past two decades. The rebirth of the capital has seen a cosmopolitanism arrive in the city and Kigali now boasts a slew of new skyscrapers, several international hotels and a host of excellent eating options. While Kigali has relatively few tourists, those that take the time to explore the city are rewarded by a friendly response from locals and a more rounded insight into the country as a whole.